This collection of great-tasting recipes features ingredients that will bring vitality and a renewed sense of health to you and your family. "If only there were a way to eat in a more healthy way and still save time, money, and satisfy my and my family's taste buds, I'd be interested." 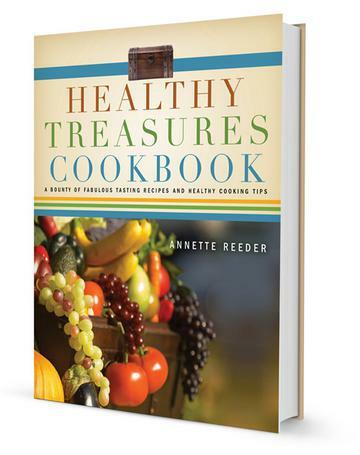 Well, Healthy Treasures Cookbook has addressed each healthy food fear and excuse. This collection of great-tasting recipes features ingredients that will bring vitality and a renewed sense of health to you and your family. You will be surprised and delighted as your new, tasteful dishes please even your most picky eater.